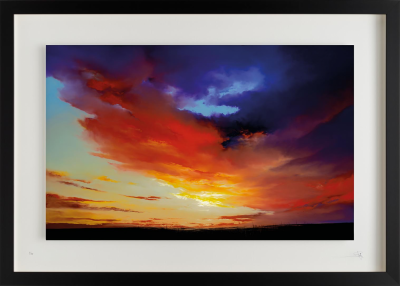 Sky Of Substance, artist Richard Rowan limited edition Giclee Print On Glass. 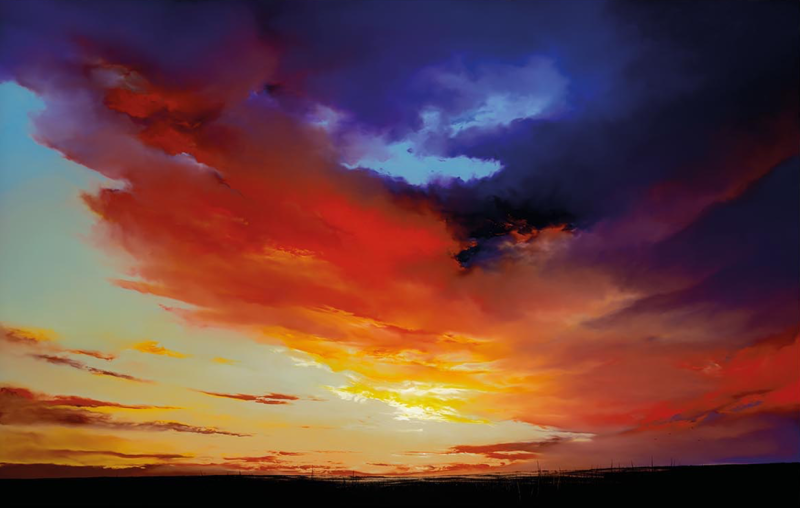 From nature-lover and intrepid traveller Richard Rowan, this stunning new body of work is inspired by “that perfect hour of the morning or evening when everything goes quiet.” Sky Of Substance is an incredible showcase of his painting-on-glass technique, and a striking work in the Twilight collection. Hand signed & numbered with certificate of authenticity. Comes framed.